Reduced operational costs and downtime through seamless distributed control system integration. The San José–Santa Clara Regional Wastewater Facility (RWF) is one of the largest advanced wastewater facilities on the West Coast of the United States. With a total capacity of 167 mgd (million gallons per day), and operating 24/7, 365 days per year, the RWF treats and cleans wastewater for a population of 1.4 million people and 17,000 businesses across eight cities and county areas of Silicon Valley. RWF has embarked on a key capital improvement program (CIP) to modernize, rebuild and upgrade its infrastructure. It is also investing in innovative ways to increase its efficiency and sustainability. The scheduled CIP projects, which cover the RWF’s plant-wide facilities, power, energy and liquids and bio-solids processing, are to be completed by 2020. 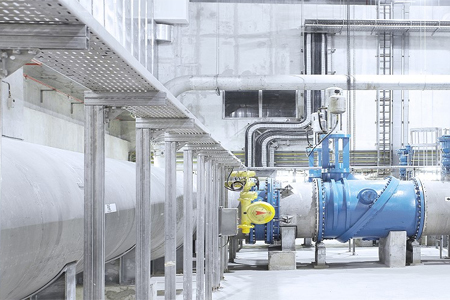 ABB upgraded the plant’s distributed control system to the latest ABB Ability™ Symphony® Plus DCS with no or minimum downtime, while re-using legacy system control logic and HMI programs. Third party equipment and controls will be seamlessly integrated. The new DCS will reduce operational costs through real-time data collection. Operations will also be strongly enhanced through a highly available and secure redundant system that is monitored both locally and remotely.